If you’ve been seeing Davido’s new partnership with Orange Culture, well, here is a piece of a good story because they aren’t just a label. Orange Culture has slowly grown its cult following since debuting as a Nigerian Androgynous wear brand inspired by silhouettes, print fabrics and contemporary urban street wear. Last year, Orange Culture was chosen as a finalist for huge design platforms like the LVMH (Louis Vuitton and Moët Hennesey ) prize – where The Orange Nerd was picked alongside 29 of the hugest emerging designers from all over the world out of 1221. As part of the growth, the brand and its creative director, Adebayo Oke-Lawal have been featured in Elle, Vogue, Marie Claire, Financial Times, Voice of America and the list goes on and on. While most people recognise OC for avant-garde pieces, like most international superior brands, Orange Culture debuts each line as a collection with a particular initiative or narrative, often going for a theme (adolescent rejection, Romanticism etc) that underpins Orange Culture as a “movement”. Adebayo has described OC as “self-aware, expressive, explorative, art-loving nomads”, which is a typical speak for its head-honcho, but one that also points to the soul of a brand for a creative class. Orange Culture is no stranger to collaborating with other people/brand for creative pieces and collections. One of this was with Dennis Osadebe for a summer collection last year. Hence, this new collection with Davido right in tandem with their core values. As with every collection, The Davido X Orange Culture Capsule collection has its own theme. They choose to explore music matters with minimalist pieces, delving deeply into fashion and music collaborations with the birth of “Music X Fashion”. It’s their first collection, and an apparent attempt to draw more attention to Africa’s current Afropop boom in more ways than music. At the launch was Omoyemi Akerele, creative Director of Style House Files and DJ Cuppy. Not much here, take a look. THANK YOU EVERYONE FOR COMING THROUGH! GO SHOP THE COLLECTION 💥 #Repost @davidoofficial ・・・ MADE HISTORY YESTERDAY!!! 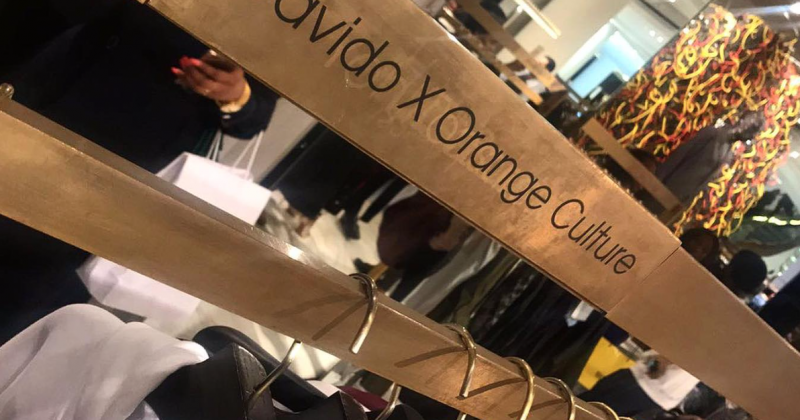 YOU CAN NOW GET the DAVIDO X Orangeculture collection @officialselfridges. WE DID THIS FOR AFRICA. @omoyemiakerele, @orangecultureng, @lfdw_ng , @stylehousefiles @nepcceo WE DID THIS FOR AFRICA! This is important for Davido who is currently on his Thirty Billion World tour and Selfridges is one of the longest-operating chain of departmental clothes stores in Britain. A collaboration like this can help create avenues for Davido to rake in extra revenue from merch sales at the remaining for the rest of his tour. Over the past few years, entertainers set on entrepreneurial ventures in fashion have often failed at execution. Wizkid’s unsuccessful attempt at releasing a line of “Starboy” branded T-Shirts, the disolution of Sarkodie’s Sark Clothings are only a few of the examples. 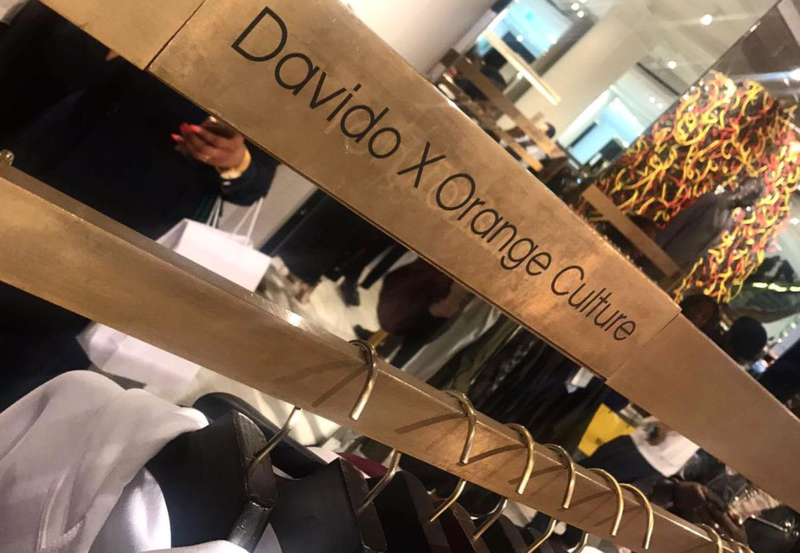 Davido and Orange Culture’s collaboration with Selfridges present somewhat of a blueprint for how established brands can benefit from mutual co-existence in the cultural ecosystem. This post has been updated for clarity and specificity.